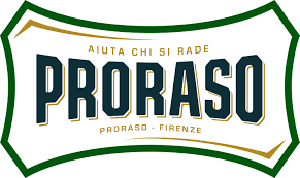 The Proraso Blue Range offers extra-hydrating and skin-comfortin protection for a classic smooth shave. SHAVING CREAM: for a classic moisturising shave. This hydrating cream helps comfort the skin with extra-soothing and softening ingredients. Due to the creamy foam, the blade can easily slide over the skin without causing irritation. Perfect for travelling thanks to the tightly sealable tube. Does not contain alcohol, silicon, mineral oil and fruit acid.